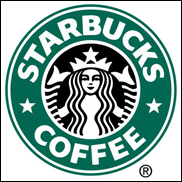 SEATTLE (Hypebot) â€“ Expanding their ongoing marketing partnership, Starbucks and iTunes yesterday announced Pick of the Week, offering coffeehouse customers free downloads and videos. Upcoming Pick of the Week artists include Carly Simon, Duffy, Counting Crows, Adele, Sia, and Hilary McRae. Each Tuesday, more than 7,000 Starbucks US locations will give away download cards redeemable on the iTunes for a complimentary song or music video. The first Pick of the Week, available now is Counting Crowsâ€™ "Washington Square." "With Pick of the Week, Starbucks will leverage its trusted curatorial voice in music and entertainment through its partnership with iTunes to provide our customers with a world-class digital discovery experience," said Ken Lombard, president Starbucks Entertainment. "Pick of the Week provides an incredible way for Starbucks customers to discover great new music and videos for free on the iTunes Store," said Eddy Cue, Appleâ€™s vice president of iTunes. "With the worldâ€™s largest online catalog of music and video there is truly something for everyone.